What is Incandescent Light Globe? An incandescent light globe is an electric light which produces light through a wire filament. Depending on the wattage, the hot filament is protected from oxidation with a glass or quartz globe that is filled with inert gas or evacuated. Where can I use an Incandescent Light Globe? The incandescent lamp is widely used for appliance, decorative, & heating light fittings. How much power is used from an Incandescent Globe? 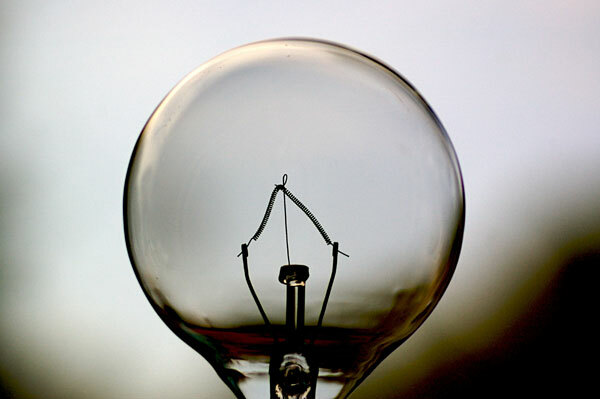 All Incandescent globes use approximately the same amount of power as the wattage. Example, 40 watt (w) globes consume 40w of power. Is Incandescent Energy Efficient ? No, Incandescent bulbs are much less efficient than most other globes. Incandescent bulbs convert less than 5% of the energy they use into visible light (with the remaining energy being converted into heat). What is replacing Incandescent Globes? Incandescent bulbs are gradually being replaced with many types of light sources, such as Compact Fluorescent Lamps (CFL), Halogen, and LED. Why is Incandescent Globes slowly phasing out of Australia? In February 2007, Australia enacted a law that will, in effect, by legislating efficiency standards, disallow most sales of incandescent light bulbs by 2010.The Australian Federal Government announced minimum energy performance standards (MEPS) for lighting products. The new minimum standard efficiency level is 15 lumens per watt (lm/W). From November 2008, no non-compliant lighting (including some incandescent globes) were imported into Australia, and from November 2009, the retail sale of non-compliant lighting was banned. According to the current proposal, all regular light bulbs and some other kinds of light bulbs sold from October 2009 have to meet the new minimum energy performance standards. Incandescent light globes that meet the new standards, for example high-efficiency halogen bulbs, continue to be available. It is estimated that greenhouse gas emissions will be cut by 800,000 tonnes (Australia’s current emission total is 564.7 million tonnes), a saving of approximately 0.14%.